Wheat milling. 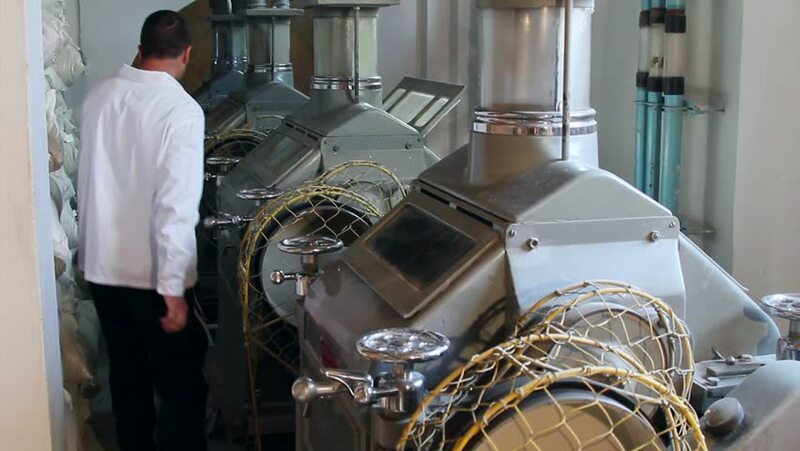 Wheat flour milling machine and worker who control of production machinery. 4k00:12Professional carpenter cut part of wooden board by circular saw. Woodworker. Process of making furniture. 4k00:08Mature man working in shabby car service, making aluminum bushing on lathe. 4k00:11Hard-working female ceramist making clay pot on potter wheel. Hands of the ceramist hold a clay bowl that rotates on a potter. 4k00:10Carpenter who makes unfinished furniture. Carpenter Craftsman Lumber Timber Woodwork Concept. Senior woodworker or carpenter doing woodworking on a plank of wood in workshop with manual plane.